Windfall presents Balance, its first chandelier with integrated LED light. 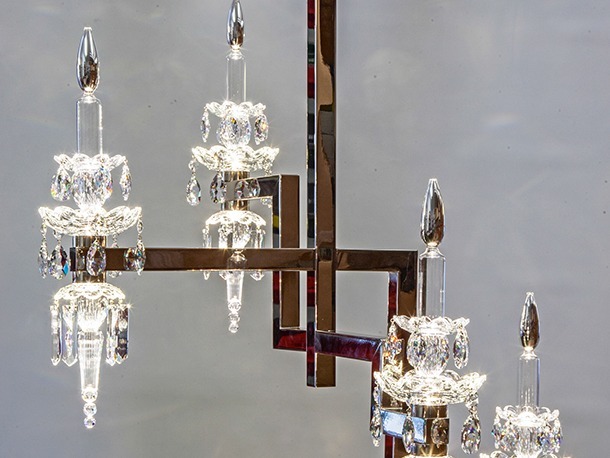 Within a strong geometric shape, four balance-like candles and crystal bottom parts are lit by power LED, four up and four down, concealed within the crystal elements. Each LED is changeable and powered with moderate current, to maintain a lifespan of 30,000 hrs.